Drinking more water is the only beauty tip that will single-handedly take care of you from the inside out and get everything from your skin to your hair and nails to look good. So if you do nothing else for the health of your skin, at least drink more water and you will be making a huge difference. How Does Water Help Your Skin? Skin cells are made up almost entirely of water. Without water, your cells will not function properly. And since everything in your body is made up of cells, nothing will work properly if you are not sufficiently hydrated. This is why you need water just to function – your cells need it. Now don’t think that drinking a glass or two of water a day will do the trick. Remember that your body’s primary agenda is to keep you alive. So when you do drink water, your body will first allocate available hydration to those organs that are vital to survival. Only when those have been taken care of will your body send water to your skin and hair. This means that if you want the skin benefits of drinking water, you have to have a high enough intake to satisfy your body’s needs first. We’ll talk about ways in which you can increase your water intake in a bit. For now, let’s take a look at what lack of hydration does to your skin. Dryness – one of the first signs that your skin is not getting enough water. Flakiness – commonly follows dry skin. Premature wrinkles – not something you will realize immediately if you are younger, but you will definitely sit up and take notice when wrinkles start to make their first appearance before you even hit 30. Dullness – again a common sign that your skin needs more water. Your skin quite literally droops like a little flower from lack of hydration. All the skin benefits of drinking water are inter-related. Each benefit is advantageous to other aspects of healthy skin, as you will see for yourself. The main reason that water benefits your skin is because it benefits your body. Your skin is a reflection of your health. If you are in bad health, you will have bad skin. If you take care of yourself and you are relatively healthy, your skin will be flawless. If you really go all out and treat your body like a temple, your skin will glow with an inner radiance. Digestion. Your body needs water to metabolize what you eat transport the resulting nutrition to the blood cells. Absorption. Water is further needed to transport minerals, nutrients from food and blood to every part of the body and to allow your body to absorb it. Excretion. You’ve probably seen for yourself how your skin looks pasty and dull when you are constipated. Water helps to move things along and regulate bowel movements. When waste remains in the body for too long, toxins start to form and spread in the surrounding organs bit by bit. As we’ve seen, your skin is a reflection of your health. Even this initial slow poisoning from constipation becomes apparent on your skin after just a few days. Blood circulation. Water helps to thin out blood and allows for better blood flow through the body. Improved blood circulation leads to healthier skin. If any of the above functions are interrupted, you will notice the effects almost immediately. Constipation, dizziness, fainting, nausea will occur to warn you that you are low on water. Your skin will start to appear dull soon after. Note that even though water is a miracle beverage and will do much to improve your health and thus your skin, you need a nutritious diet with sufficient sleep, regular exercise and a reasonable work-life balance for optimal health. You will definitely see and feel the skin benefits of drinking water, but you will experience even better results if you take care of other factors that influence your health too. Your skin cells, like all the other cells in your body, are made up of 2/3 water. This balance is required at all times for your body to function well. There’s nothing like normal drinking water to keep your cells replenished. Hydrated skin is better equipped to heal ad rejuvenate. We’ll see next how good hydration benefits your skin. Drinking water is a simple and cheap anti-aging secret. Water replenishes skin tissue and skin cells plus it improves skin elasticity. Because one of the skin benefits of drinking water is that it hydrates your skin, you can be assured that your skin cells will be better moisturized and thus less dry. Dryness is one of the harbingers of early wrinkles and other signs of aging. The better your skin is hydrated, the longer it will be before those first wrinkles turn up. 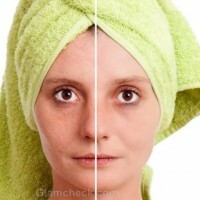 It will also keep fine lines and dark spots at bay for much longer than if you do not drink enough water. One of the skin benefits of drinking water is that it flushes out toxins from the body. Retained toxins can cause clogging of pores and dull, oily skin. This can increase the prevalence of pimples, whiteheads and blackheads. By drinking more water, you facilitate the excretion of wastes and toxins in the body thus contributing to healthier, acne-free skin. If your internal body temperature gets too high or too low, it affects your health which in turn affects the appearance of your skin. One of the skin benefits of drinking water each day is that it ensures that your body temperature is right where it should be. Considering how simple this beauty tip is, you’d think it would be easy to just start drinking more water, right? The truth is that not a lot of people like the idea of drinking water in the first place. Secondly, the habit is a little difficult to inculcate. And thirdly, it takes time and effort to do healthy things which is what prevents most people from doing what’s right for them. Some people find it much easier than others to inculcate new, healthy habits. Some will take months or even years to break old patterns and develop new ones. Whichever category you fall into, just remember the skin benefits of drinking water and hopefully that should get you to stick to it when things get difficult. Your biggest challenge will be to start seeing water as a means to quench your thirst. Today, the market is flooded with iced teas, cold coffees, soft drinks, energy drinks, beer, juices, and a whole bunch of other sugary beverages which advertising portrays as the things you should get yourself to drink to eliminate thirst. You know better. All this stuff does nothing but make you more thirsty and a little more unhealthy. There’s nothing like water. Period. As you follow the tips below to get more water into your body, keep working on your thoughts about water and get your mind to view it as a tasty, healthy thirst-quencher. Your mind will create the biggest hurdles when it comes to creating a new habit so it’s better if you lay the ground work there. Now lets move on to how you can get the skin benefits of drinking water by bringing more of this miracle liquid into your life. A soda may be the first thing you reach for to quench your thirst. However, it has zero nutrition, does absolutely nothing at all for your health and the sugar content in all sodas is too high to be justified. In fact, recent research has shown that sugar ages your skin faster than lack of water or even sun damage so it might be a good idea to lay off them altogether. Juices and herbal teas are not as bad as sodas, but nothing beats plain water if you want the skin benefits of drinking water which we’ve been discussing so far. If you fill up on other liquids, your body won’t have place for water as you’ll be too full. Plus, you won’t feel like having water after a fizzy drink. So limit your intake of other beverages in the first few days or weeks that you are trying to increase your water intake. The above step will be easier for you if you follow this one. You may not be able to help the types of beverages that are available at your work place, but you do have complete control over the food in your home. Just don’t buy the sodas and other junk drinks. If it’s not around, it won’t entice you so much and you are more likely to reach for a glass of water when thirsty and thus derive the skin benefits of drinking water. So you’ve eliminated other beverages from your line of vision and now all that remains is to drink more water whenever you are thirsty. If you haven’t been in the habit of drinking water, then your first instinct on experiencing thirst will be to go look for whatever beverage it was that you turned to before be it a soda or a beer. If there is no water readily available when you need it and you have to go looking for it, you will very likely end up not drinking water. ‘After all’, you’ll think, ‘if I have to make an effort to quench my thirst I may as well expend my energy in getting something I really want. Now where’s that soda?’ One of the main reasons people fail in their efforts to drink more water is because they do not keep water withing easy reach. So make a conscious effort to maybe carry a water bottle with you whenever you go out or to install a filter on your tap at home so that you do not have the excuse that you are out of bottled water. Keep a glass of water on your desk while you are working. On your coffee break, head for the water cooler instead of the coffee machine. Keep water handy as much as possible so you cannot make excuses. Set an alarm on your phone or computer to go off every hour. This is your cue to drink a cup or a glass of water. If you cannot do a full cup, at least try to go for half. Slowly, as you do this daily, your body will automatically crave more water and you will end up drinking more and more. Eventually, you will not need those alarms to remind you to drink water because your body will send you the appropriate signals when it needs water and you will learn how to accurately interpret those signals. You will start to see the skin benefits of drinking water long before this happens. A simple way to increase your water intake to gain the skin benefits of drinking water is to drink a glass of water both before and after each meal of the day. Every time you plan on having a snack, drink a glass of water first. After about twenty minutes of eating, drink another glass of water. So let’s say you have about 5 meals a day including breakfast, lunch, dinner and a couple of snacks in between, that’s 10 glasses of water you’ve already gotten into your body. Not bad at all! Many people find this method much easier and less stressful than reminding themselves to drink water by the hour. You get thirsty when you exercise and the body usually craves more water then by default. You too will find that you actually crave water after a workout rather than any other beverage. It may be just for the few hours after you work out that you drink more water, but anything to get you into the habit is a good thing. Why have a glass of water first thing in the morning? You’ve been sleeping for eight hours and you wake up hungry for breakfast. Yes, you haven’t eaten in so long and need to put some fuel in your body, but remember that you haven’t had anything to drink either. Your body is just as dehydrated as it is hungry. Hunger is often an indication of acute thirst as well. So drink a glass of water before you have anything to eat. This way, not only will you provide your body with the early hydration that it craves but you will also avoid over-eating at breakfast. As for that glass of water before bed, the same principle applies. You would not go to bed hungry because the hunger pangs would wake you up or not let you sleep well. We’ve mentioned time and again that your body needs water more than food. A glass of water before bed provides your body with the little hydration that it needs for the next eight hours. Whenever you are trying to set a new pattern for yourself, keeping a track of your daily progress can help you become more aware and connected to the process as well as to see where you are having trouble. For example, you may find that toward the end of the day you prefer a pick-me-up in the form of a soda instead of water when you are thirsty. When you have discovered this pattern, you have it in your power to distract yourself from the urge to indulge in an aerated beverage or perhaps to substitute the beverage with something healthier like lemonade sweetened with honey. Start incorporating these water habits into your life now. You will not see the skin benefits of drinking water overnight, but you will indeed notice a change in your skin in a week’s time and a marked difference in a month or two.